Soggy numbers… 6 common accounting mistakes to avoid. 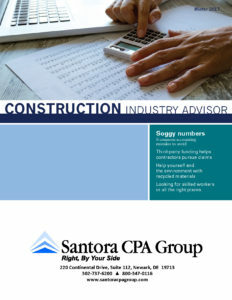 Third-party funding helps contractors pursue claims. Help yourself and the environment with recycled materials. Looking for skilled workers in all the right places.